During the past few days my class has had elaborate discussions regarding the importance of student ownership and the learning process. The class agreed that being able to explain our mathematical thinking is important. Many of the math projects that I assign focus in on the eight mathematical practices and highlight the ability to articulate the “how” and “why” certain steps are/were taken. That process can enable students to understand math concepts more clearly and apply their learning. The class then discussed how applying our learning can lead to innovation. That conversation then cascaded into the importance of being an innovator today and how modern-day technology often evolves through the refinement of ideas. These ideas may come from inventors or entrepreneurs that take a risk and create a new product/idea. One of my goals this year revolves around the concept of enabling students to be digital content creators. Digital content creation happens all the time and there are many examples (positive/negative) of this. I want to encourage my students to create ideas, projects and connections this year. So earlier this week I noticed that @mwhitedg posted a tweet with the #dg58learns tag about how his class is now using the Showbie app to turn in digital content. This idea intrigued me as one of my focuses this year is to have students create digital work for their eportfolios. One of the main problems that often exist at the elementary level is that students aren’t allowed/don’t have email addresses, so emailing work to the teacher can be problematic. It seemed that this particular app might help solve this problem. I discovered the Showbie app that night and started to look at what student content creation apps exist. I found plenty and many content creation apps that I haven’t heard about. Click the below image to access the site. 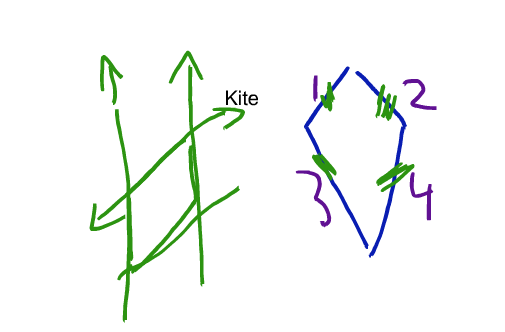 I’m familiar with the app Educreations and used it as a primary whiteboard in the past; not delving too deep into it’s capabilities. After finding Showbie, I begin to upload my student roster into the Educreations site and started to find that the app has potential. The next day I modeled the app with the class and showed students how to login and send assignments via Showbie. 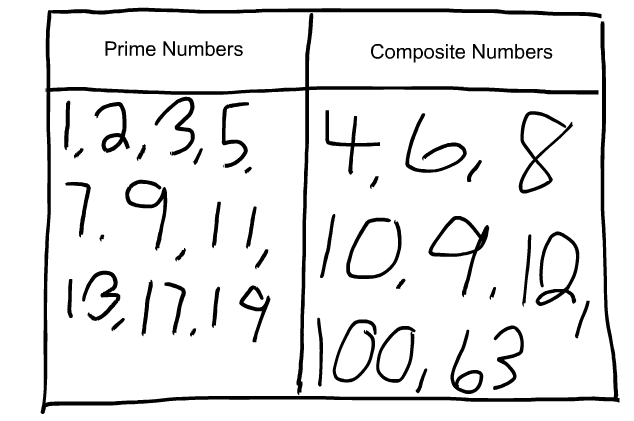 My students were asked to compare prime and composite numbers (4th grade) and compare a kite and rhombus (3rd grade) with Educreations. I allowed the students to explore the different functions of the app. Most students found a comfy and quiet place in the room to record their lesson. Without even telling the students, some started taking pictures of objects in the classroom and importing them into their lesson. After 20 minutes, all students were done and submitted their videos. As a class, we reviewed the videos and made a plus/delta chart on the quality of the projects. Below you will find some sample screen shots of the projects. We learned a lot about the Educreations app and how to position the iPad while speaking (hint: don’t cover the microphone or move the iPad with force). The class also had a conversation about the importance of having guidelines during the creation process. In the future we’ll be using a form of this rubric and possibly work in groups to create a number of projects this year. This may change though, depending on the quality of the projects and learning experiences that are in our future. The students were extremely excited to view their content and thrived on the idea of being able to create their own work. Moreover, I found that five students actually went online and viewed their creation video over the weekend. Becoming a responsible digital creator is an important skill to have and I believe we are starting to make headway. How do you encourage student creation at the elementary level?